Google Alerts is a great way to stay uptodate with the latest updates on the web. 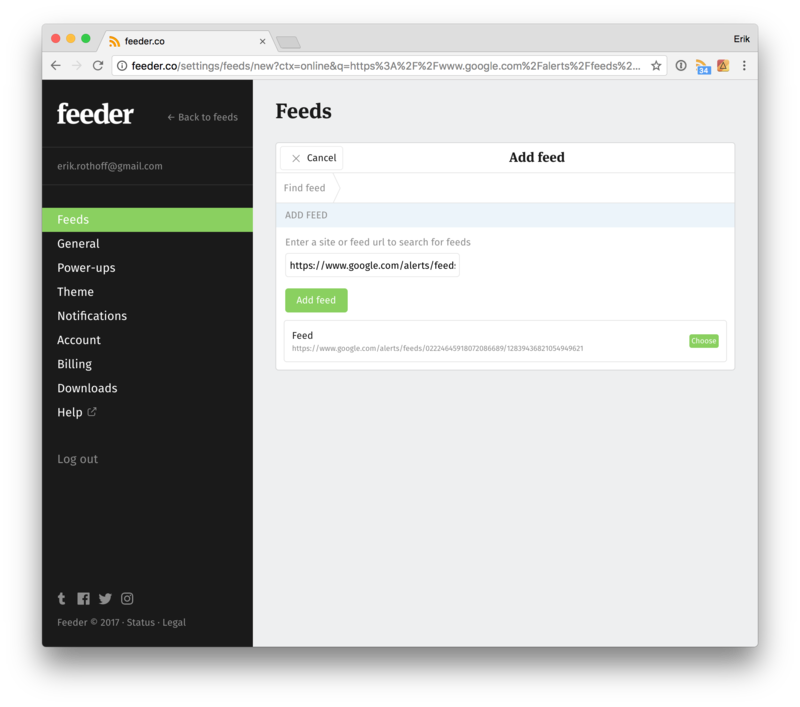 It works great with RSS readers like Feeder because you can get all updates in one place. Make your search in the search box. In the Deliver To option you need to change from your e-mail to “RSS Feed”. Choose “RSS Feed” in the Deliver To option. 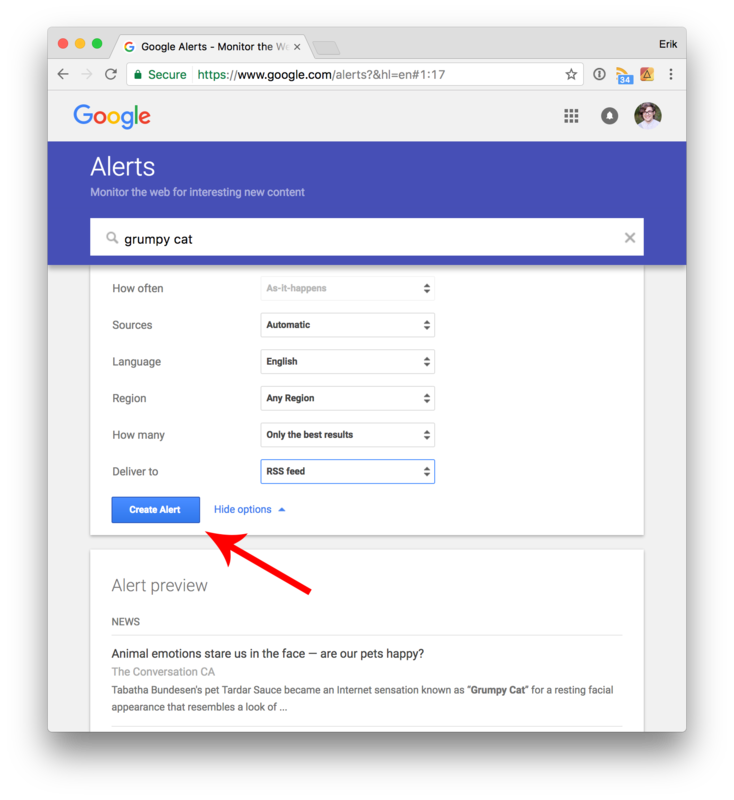 Now you can press “Create Alert” button to save your alert. In the list of your alerts, press the RSS Icon as outlined in the image above. This will take you to the RSS Feed page. If you have the RSS Feed Reader extension installed you will get a prompt to subscribe instantly to your account. 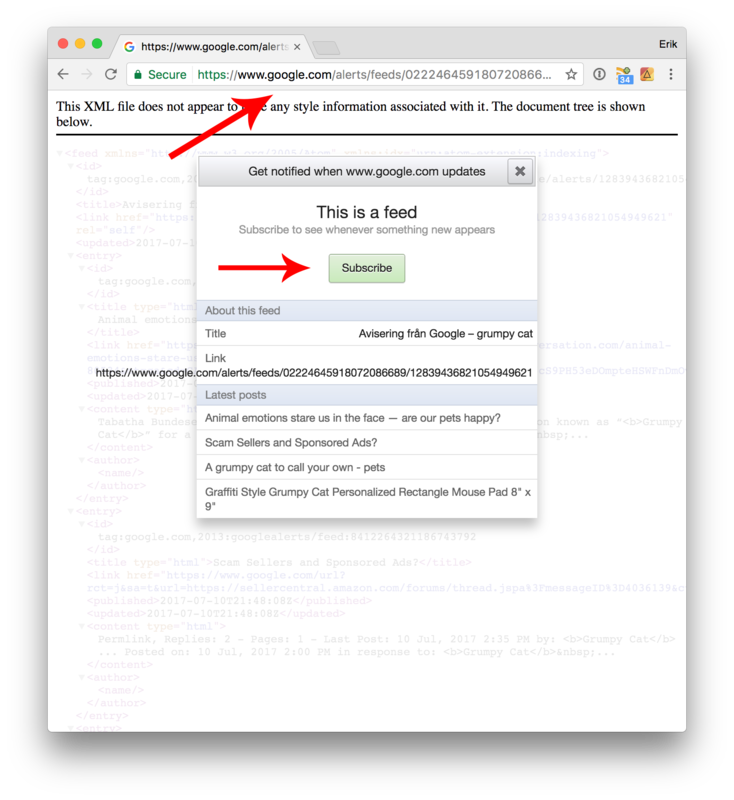 If not, you simply copy the URL in the URL bar and paste it into the settings page of feeder. Paste the Google Alert URL into the settings page and follow the steps you normally would.